Shedding blemish-raising light on the digital divide in America, the National Digital Inclusion Alliance (NDIA) Monday released a list of the Top 25 Worst-Connected Cities. Kansas City, Kan., the first city to get Google Fiber, landed in the top 10, with a reported 34.1 percent of its households having no Internet connection. The list uses data from the 2014 American Community Survey, released last Thursday by the U.S. Census Bureau. Taking all 184 U.S. cities with more than 50,000 households, NDIA’s list stacks them up by their percentages of households with no Internet at home. The NDIA also compiled a list of worst-connected cities with a significant portion of households with incomes below $35,000 (see “Top 25 Worst-Connected U.S. Cities for Poor Households”). KCK is at no. 9 on that list. See both lists here. KCK comes in at no. 8 on the main list, with 18,971 of its 55,680 total households reportedly having no Internet connection. 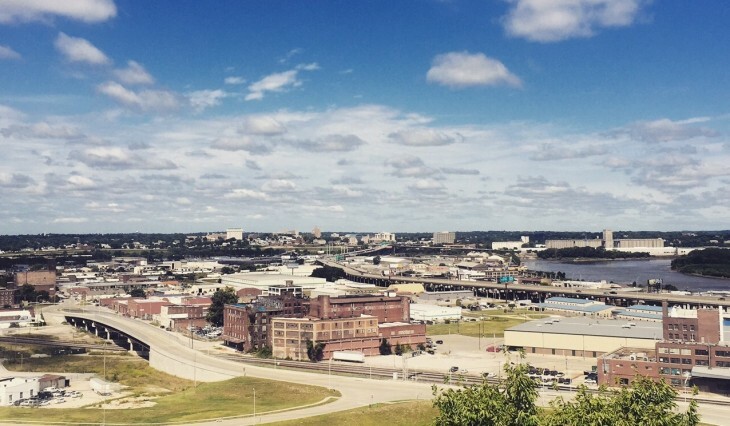 On the low-income list, KCK drops to no. 9, with 15,101 of 27,136 (or 55.6%) low-income households connectionless. Kansas City, Mo., did not make either list. But Missouri neighbor St. Louis fell in at no. 22 and 23 on the lists. What Does It Mean for the Digital Divide in Greater KC? The irony will not be lost on many who see this news. After all, we’ve seen the post-Google divide in KC highlighted before. The good news is that, unlike in so many fellow metropolises on the NDIA’s lists, Kansas City leads the nation in the availability of high-speed broadband. With providers like Google Fiber offering 7 years of free Internet after a $300 construction fee and Comcast’s Internet Essentials package available for $10/month for qualifying families, Kansas City is replete with low-cost options. This assertion is born out on the NTIA/FCC National Broadband Map. We know that if people aren’t able to connect, it ultimately doesn’t matter, but having an affordable (preferably fiber) infrastructure in place is a huge first step. The next step is getting people connected, and Kansas City as a whole is a community that understands this and is actively working to educate our residents about the importance of connectivity to life in a digital world. KC Digital Drive is working with great partners in the Digital Inclusion Coalition, which includes Connecting for Good and the Kansas City Public Library (all of whom, KCDD included, are NDIA members). Together, we have identified subsections of KCMO/KCK – digital inclusion “zones” – where the gaps are the highest and where we are working to focus resources. There’s also other great efforts underway to increase both connectivity and community education in KC, like the ConnectHome Initiative, the Digital Inclusion Fellowship and Digital Inclusion Fund — all of which have Google’s stamp on them in some way. There’s also places like the W.E.B. DuBois Center and Reconciliation Services, which offer computer access and digital skills training to people in marginalized communities. Bottom line: While we may show up on today’s list of “worst-connected” cities, many smart people on both sides of the state line are working hard to make sure the Kansas City of tomorrow is on a different list altogether. If you want to find out how you can help close the digital divide in Kansas City once and for all, drop us a line.